From Englesrufer, this Rose Gold CZ Angel Wing Bracelet is a gorgeous gift for her. 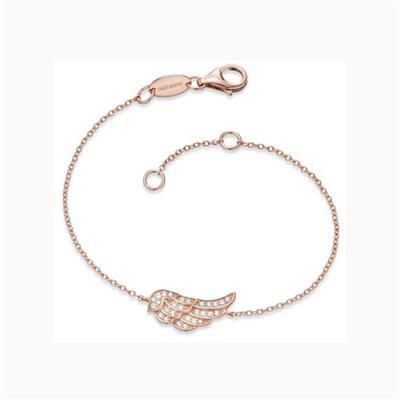 The Englesrufer Rose Gold CZ Angel Wing Bracelet is delicately crafted and is a delicate piece. In a sparkling Rose Gold colour, this bracelet is a great addition to any outfit. This bracelet is crafted in Sterling Silver and is plated in Rose Gold. It is adorned with Cubic Zirconias.